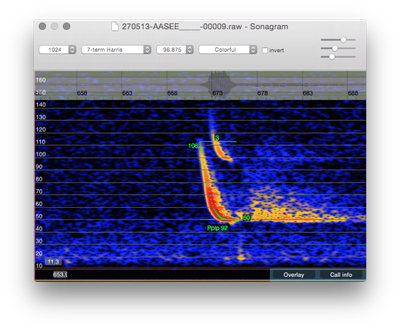 bcAnalyze 3 is specialized on working with high resolution bat call recordings either in wav or raw format. It was written for bat researchers as well as hobbyists. When the first version was introduced in 2007 with the ecoObs batcorder, it quickly became the tool of choice for analyzing bat calls. Welcome the third generation bcAnalyze. ecoObs is introducing two versions of bcAnalyze 3 both to be distributed on the App Store only. 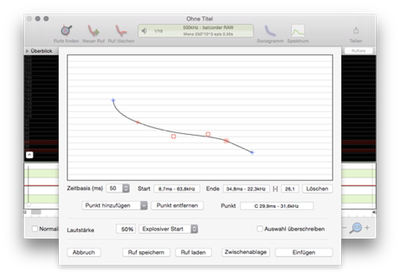 The first one is a light version featuring the basic tools for call analysis. The light version enables you to do what you need to identify species. And that with the lightning speed of bcAnalyze. It supports bcAdmin generated measurement files. Compare Light and Pro version. A trial-version of bcAnalyze 3 Pro as Standalone is available since September 2016. After 15 days testing you will need a license either from ecoObs or from the Mac App Store. bcAnalyze features one of the fastest sonagram displays. And in version 3 it is even faster. The moment you open your recording a first overview sonagram is calculated. When zooming in call details slowly get clearer. If you can't wait, just select a call and open a highly detailed and customizable sonagram window. If calls were found, you can overlay the measurements. For reference you can in addition save the sonagram to an image or to an html page (automatically appends on existing pages). 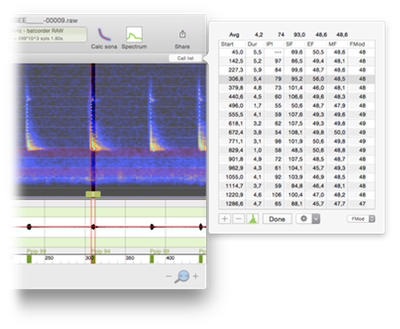 You can use the ecoObs call finder to search for bat calls in any recording. For each found call measurements are extracted and can be displayed in various ways. While you can plot the calls as overlays in sonagrams, you can also access the call list. There you quickly can check call intervals or durations. 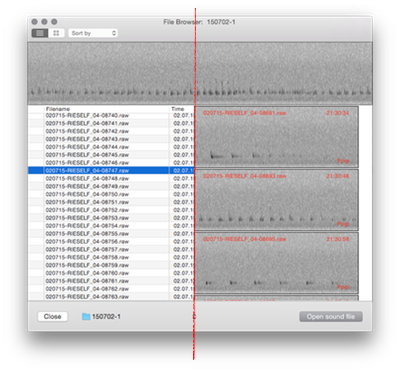 If calls were extracted with other ecoObs tools and bcCalls files exist, these will be read automatically when opening the recording. As soon as calls where found you can use the tab key to access calls. Identifying the correct species is not always an easy task. It requires some experience and a good set of reference calls. bcAnalyze offers a new tool that helps with that. You find a call overlay in the analyze menu. You'll need call measurements for the recording. Then, when opening the call overlay, display sets of reference calls. The references are available for some european species only at the moment. They will be extended to include more calls and more species. These refreshes will be available as free downloads again. 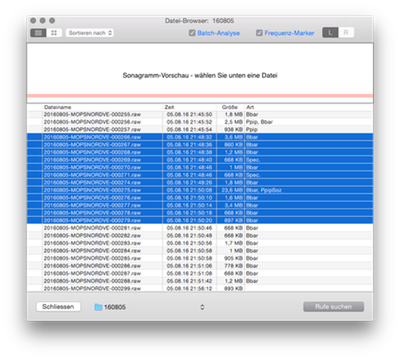 bcAnalyze features a file browser to quickly browse through a folder with recordings. In standard mode you'll get a table of all the wav and raw recordings within the selected folder. Selecting a recording renders a preview sonagram (up to two seconds) above the table. In steroids mode bcAnalyze makes use of some of the advanced OS X technologies like Grand-Central-Dispatch and renders previews instead of the table /shown on the right in the screenshot). You'll quickly see if your recordings contain something special. Re-play your bat recording either time-delayed or using a virtual heterodyne detector. The later sounds just like your normal hand held device and you can select a heterodyne frequency while the sound is repeatedly played. That way you can use the same features for call identification as you would do in the field while sitting in the warmth just next to your computer. The measurement sonagrams can be colorized using a user-supplied color scheme. This needs bo loaded via Preferences - Sonagram and needs to be a tif file 1 pixel high and 256 pixels wide. We have compiled a couple of examples for download. If used in combination with the new individual marker tool you can get very nice illustrations for your publications. Sonagrams support Copy & Paste to allow you to copy sonagrams into other sonagrams. 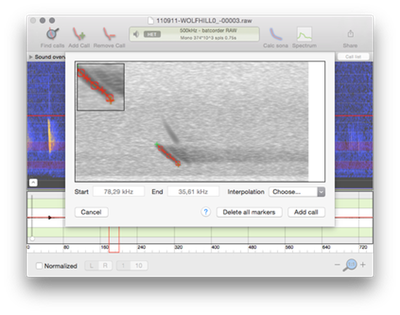 That way you can overlay sonagrams of calls to help you identify species. Using filters for the overlay as well as increasing or decreasing opacity of the pasted sonagram allow customization of the image. 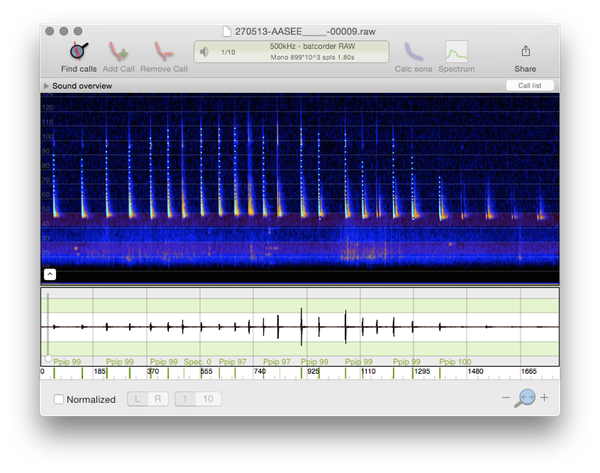 bcAnalyze as well as bcAdmin (a tool by ecoObs) create bcCalls documents containing bat calls found in a recording. These documents can be displayed using bcAnalyze 3 Pro. Choose the display style and quickly access calls even without loading the full recording. The file browser offers a batch call finder mode. Thus you can now generate call measurements for a selection of recordings instead of using bcAdmin. That is useful for users that only rarely want to analyze larger amounts of files automatically. This does of course not offers all the elaborate features of bcAdmin. 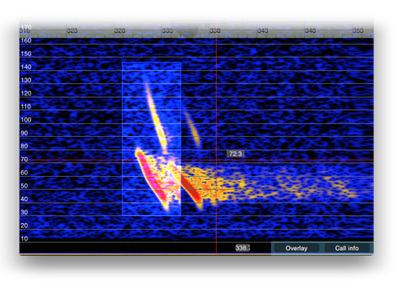 bcAnalyze features an automatic call finder searching for potential calls within your recording. If the automatic call finder doesn't recognize all calls in a sequence you can add them manually. 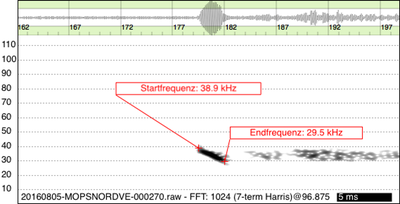 Either add just start and end frequency, or draw the full call. Just as you are used to when using vector drawing tools you can adjust the curvature. The measurements then are taken just as with a call found automatically. You can manipulate your sound not only by changing the samplerate. In addition you can run simple low, high- or bandpass filters on your samples. Or create a sine wave or white noise. 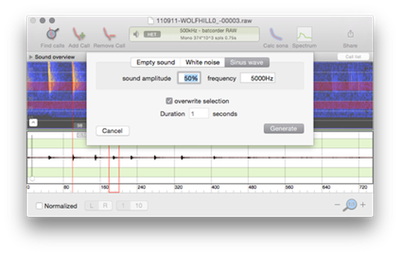 Another tool for sound synthesis is the bat call designer. Create social calls or sound dummies for bat lures and playback experiments. 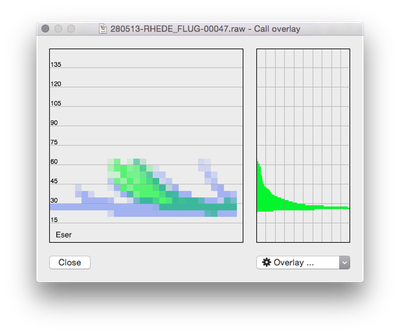 Draw the call to your needs and create sound files.